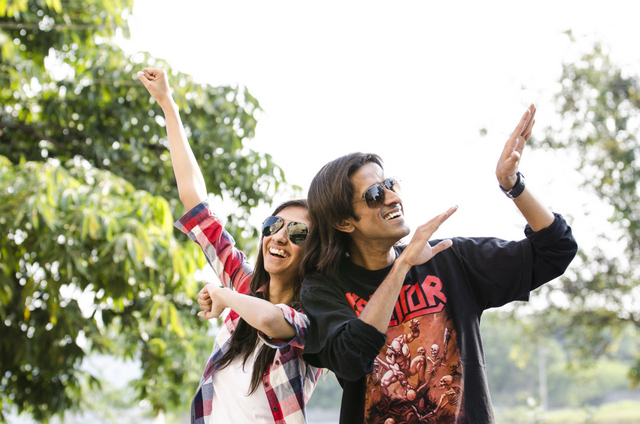 From the time of its inception, QuirkBox has been that one brand and e-commerce store that has always stood true to its name! Right from the beginning they have managed to grab eyeballs with their eclectic yet wearable prints. When you think ‘designer’ you automatically associate it with two things a) a very heavy price tag b) something that you could never wear in your everyday life but only drool over when you saw celebrities sporting those styles on the red carpet. But wearable fashion has made such a huge comeback that, fashion has slowly started to democratize. It’s no longer only celebrities who can sport these designs. 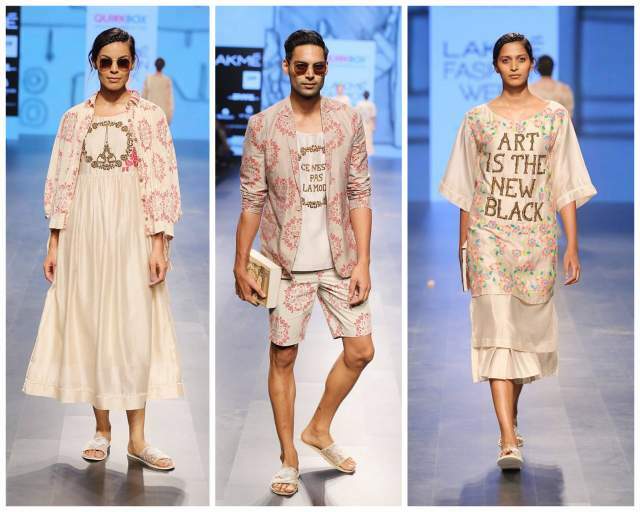 This season QuirkBox has slayed it with their collection “This is not Fashion”. Well maybe its not fashion but, it’s most definitely quirky and on our shopping lists, so that’s all we care about! 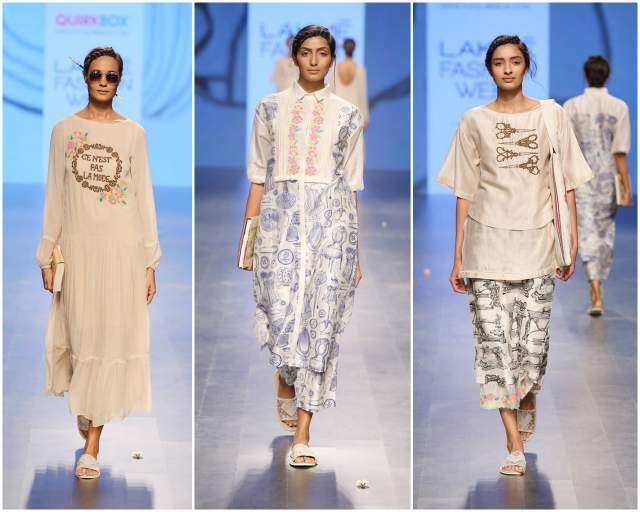 Quirkbox’s presentation on Day1 of Lakme Fashion Week gave us some much needed cool summer hues and silhouettes. The designs were seasoned with Art and all things French, and if you look closely there is a lot of inspiration from Vintage upholstery, be it the color palette, the cross stitch embroidery and the off-white shades. Along with the subtle shades, you can also see highly detailed and classic illustrations of vintage sewing machines, fashion objects all depicting French Couture and typographic illustrations. 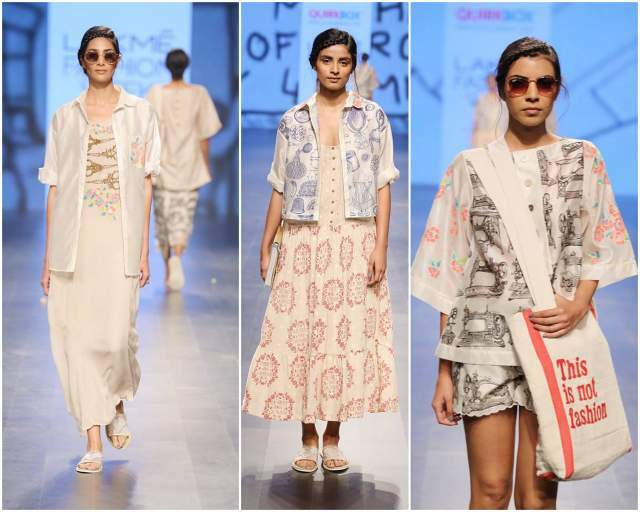 Since we believe in wearable pieces here at #TGAFA, here are some of our absolute favorite picks from Quirk Box.